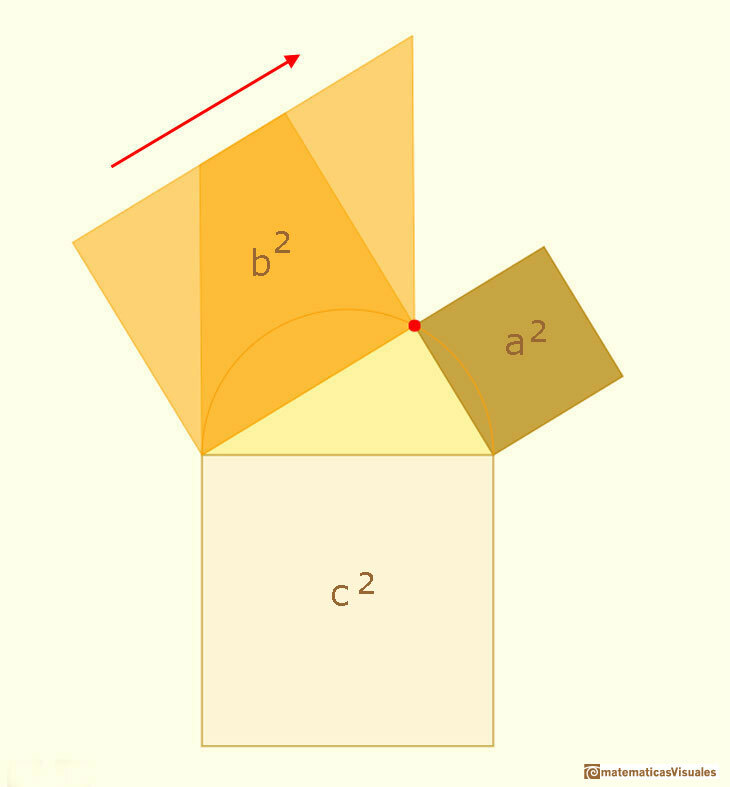 We can play with two previous interactive applications to 'see' demonstrations of the Pythagorean Theorem. One is inspired in Euclid (although Euclid did not have a dynamic approach) and the other uses a tiling. We can see Pythagoras' Theorem in a tiling. It is a graphic demonstration of Pythagoras' Theorem we can see in some floor made using squares of two different sizes. 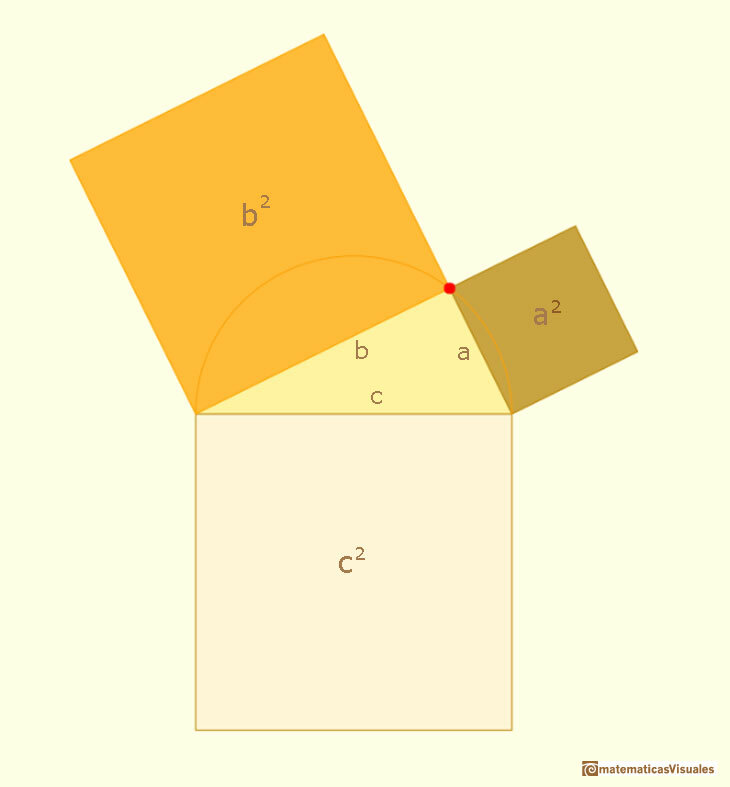 The Pythagorean Theorem (or Theorem of Pythagoras) is one of the most famous theorems of Mathematics. It is a property of right-angled triangles. 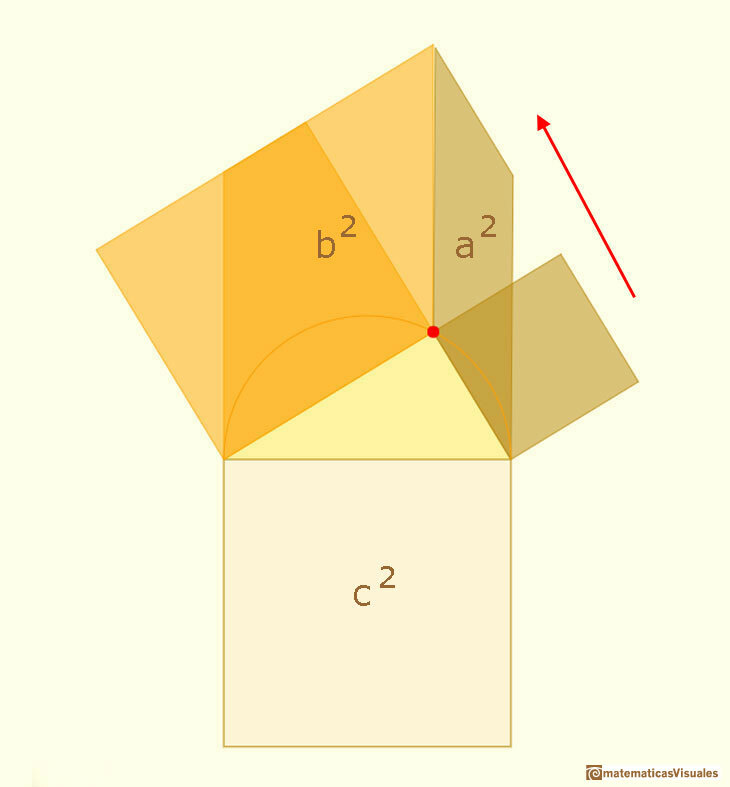 Then the Theorem of Pythagoras states that the square on the hypotenuse equals the sum of the (areas of the) squares on the other two sides. 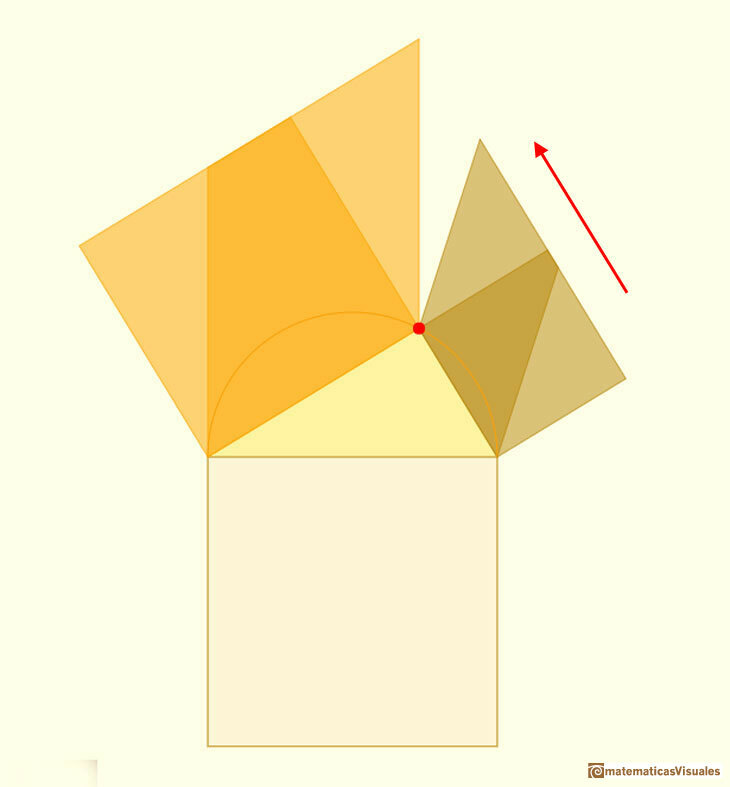 In this page we can interact with another dynamic and interactive demonstration of the Pythagorean Theorem devised by Hermann Baravalle (1945). The main idea is that if a parallelogram is changed by a shearing (preserving its base and altitude), its area remains constant. 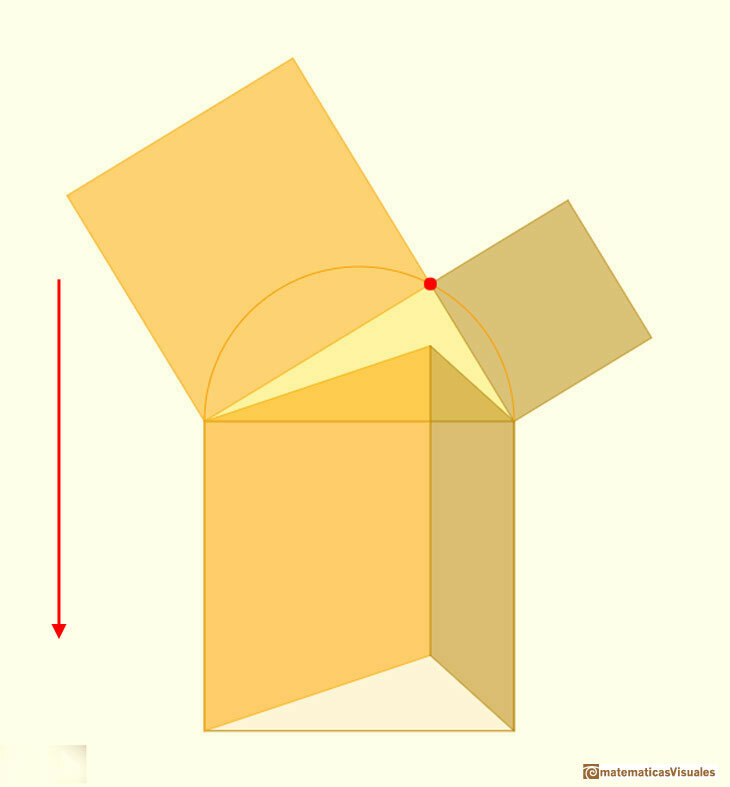 And if we consider a movement (a translation in this case) of a parallelogram the area does not change. Alexander Bogomolny, Cut the Knot. 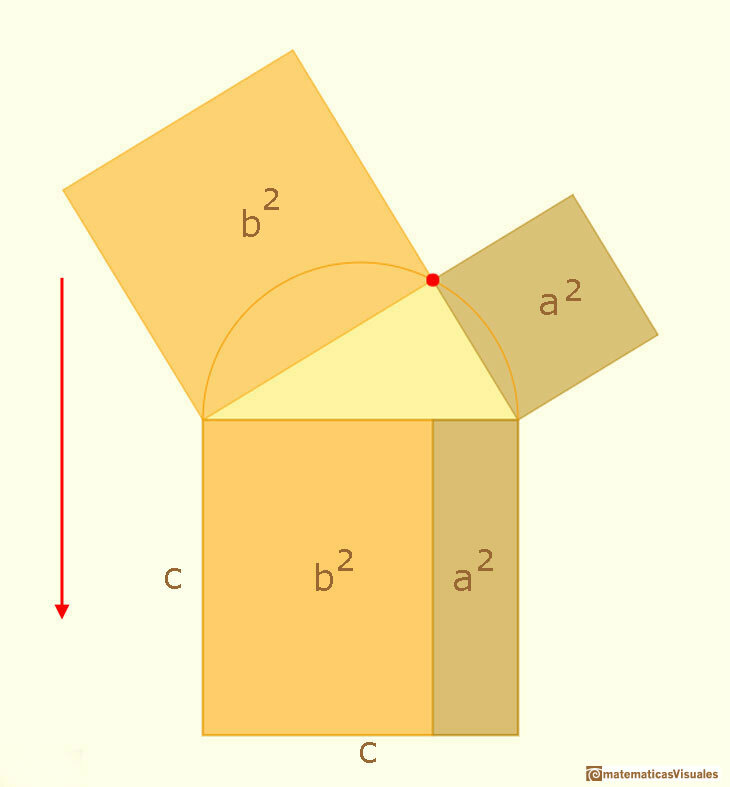 Pythagorean theorem. H.S.M. Coxeter, 'Introduction to Geometry', John Wiley and Sons, Second edition, pp. 8-9. John Stillwell, "Mathematics and its History", Springer-Verlag, New York, 2002. Martin Gardner, 'Sixth Book of Mathematical Diversions from "Scientific American"'. Scribner, 1975. Eli Maor, "The Pythagorean theorem: a 4000-year history", Princeton University Press, United States of America, 2007. F.J. Swetz and T.I. Kao, "Was Pythagoras chinese? ", The Pennsylvania State University Press, United States of America, 1977. There is a standarization of the size of the paper that is called DIN A. Successive paper sizes in the series A1, A2, A3, A4, and so forth, are defined by halving the preceding paper size along the larger dimension. 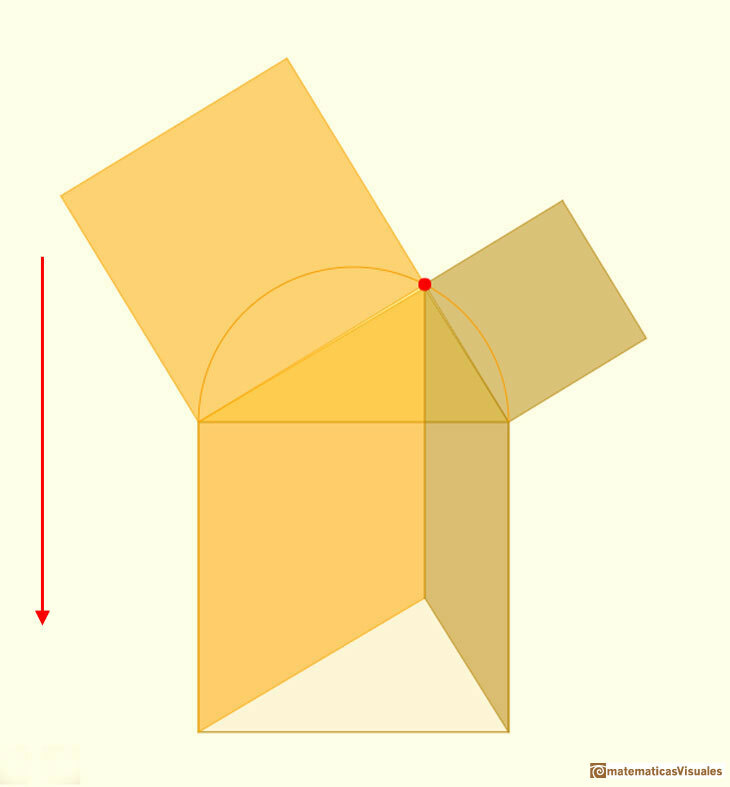 You can draw a regular pentagon given one of its sides constructing the golden ratio with ruler and compass.